Chair in injected flame retardant foam over a steel frame. Base in chrome. 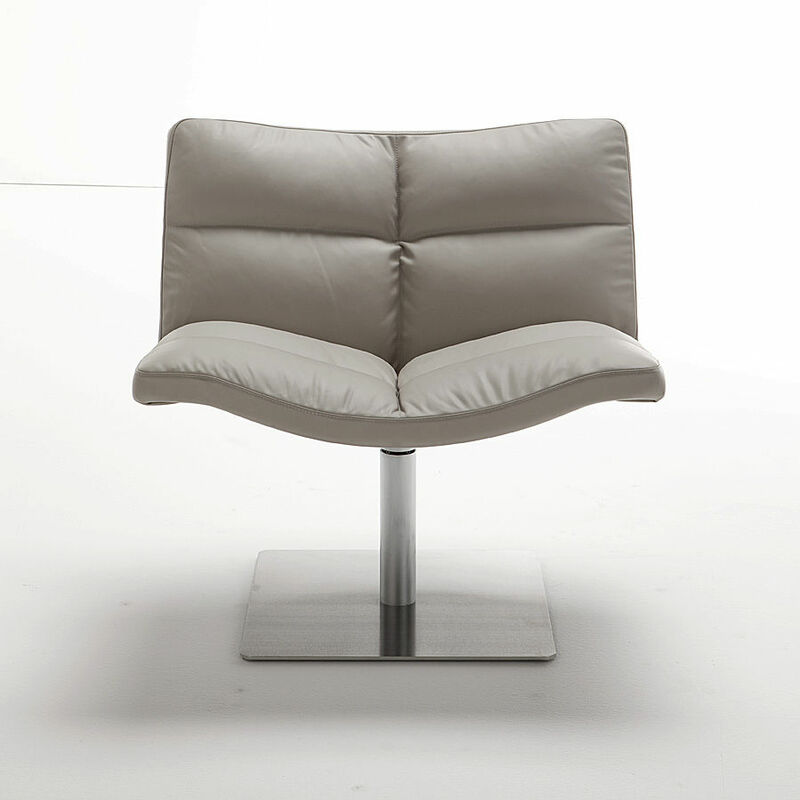 The original model wave designed by the Architect Peter Maly, been in the Tonon collection for many years. Originally it was created to satisfy the exacting contract market, the latest addition to the Wave collection, with its new soft and ecological padding, now becomes even more attractive and is ideal for the residential markets. The Wave lounge chair has a 360° memory return mechanism.